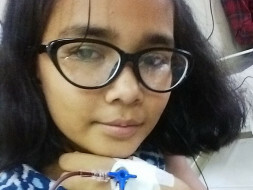 Khushi Dadhich 14-year-old girl suffering from Thalassemia Major and on regular(every 15 days) blood transfusion and iron chelation at J K Lone Hospital, SMS Jaipur Rajasthan Since 5 month of age. Khushi Dadhich needs an allogeneic Bone Marrow Transplant (BMT) to cure her Thalassemia Major. 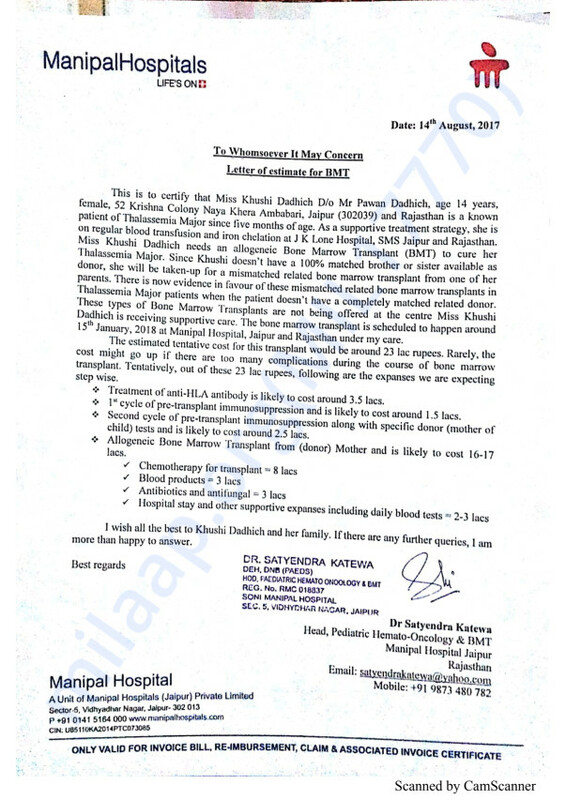 The estimated cost of treatment is RS 40 lakh and parents need your help to save their daughter. Thank you for all the support and blessings. When my Sister-in-law initiated the crowd funding via Milaap, I never thought that we would get so much of support and prayers. Thanks a ton again. Khushi has been started on the BMT process, HLA typing has been done and now we have given the blood samples of Khushi for Antibodies check. If the results come out positive, her chemotherapy sessions will start soon. She is going to be in high monitoring for coming 2-3 months. Thank you once again for all your support and now it's time for a lot of prayers, please do pray for Khushi whenever you can. Will keep posting the updates. This is the second part of the donation from Illinois Business Council. This is the first portion of Illinois Business Council's donation for their Fall 2017 Charity Fundraising. May Lord be with you!